Although the Popcorn Hour C-200 plays DVD from attached DVD ROM, it would be nice to have a DVD ISO image backup on NAS, and play the digital copy ISO file with the NMT C-200 or Popcorn A-200. A digital copy protects your original DVD from scratching and frequently use. An ISO image lets you have main movie, menus and everything in one file so you will no longer bother to navigate VIDEO_TS directory for the first chapter to start with. Besides, the DVD ISO image can be easily burned onto a blank disc when you feel like adding a backup copy to DVD collections. All right, how to make an ISO image for Popcorn Hour C-200/ A-200 playback? Let ImgBurn help you. 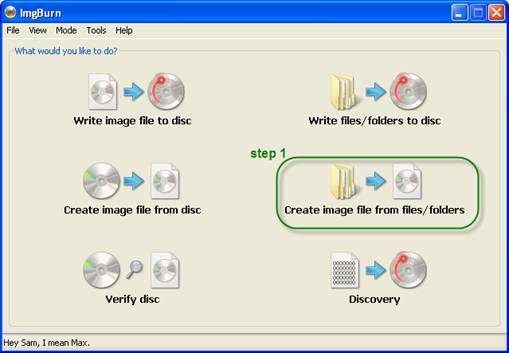 The software creates DVD ISO image from DVD discs and folders. Well, just have Pavtube DVD Ripper back the DVDs to VIDEO_TS folder before making ISO for Popcorn Hour C-200/ A-200 playback. Now that details of backing up copy-protected DVD to VIDEO_TS are provided in previous post, this guide will focus on the workflow of making ISO image from VIDEO_TS for Popcorn Hour C-200/ A-200 playback. Here we start with the VIDEO_TS folder backing up from a DVD THE DEPARTED using Pavtube DVD Ripper. Download and install ImgBurn (this is a freeware), and follow the steps to burn a region-free DVD ISO file for Popcorn Hour C-200/ A-200. Step 1. Run ImgBurn, when the interface pops up, select “Create image file from files/ folders”. Step 2. 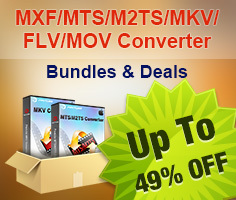 Click the shortcut folder icon as it shows below, browse to the source VIDEO_TS folder generated by Pavtube DVD Ripper. Step 3. Specify an output location to the ISO image to. Note there must be at least 5GB of free space for a single layer DVD (DVD 5). Step 4. Switch to “Labels” and type in Volume Label in ISO9660 and UDF field. Step 5. Start creating a DVD ISO image to specified location. Step 6. When the operation completed, click OK to confirm. Then you can may stream the DVD ISO image to Popcorn Hour A-200/ C-200 supported NAS (SMB, NFS, FTP) or Media Servers (myiHome, etc) and play the movie freely.